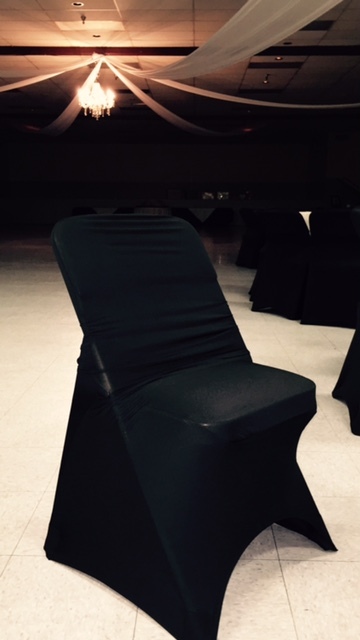 Our Premium Black Spandex Chair Covers (also known as lycra chair covers) are great looking, durable and in demand. Unlike the majority of discount chair covers offered by other rental companies and websites, ours are true premium quality and designed for posh events. 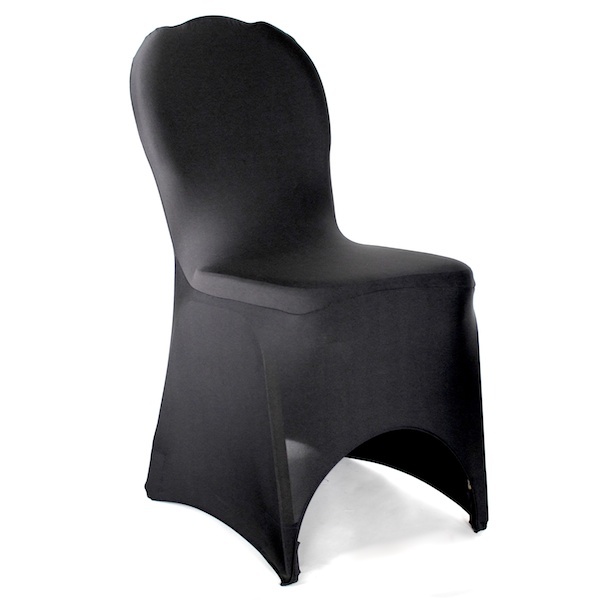 Our Premium Spandex Chair Covers are the quality chair cover that you've been looking for at a price that can't be beat. Our spandex (lycra) fabric is the thickest, stretchiest and most durable lycra on the market. This stretch is what allows it to fit so many different chair styles. 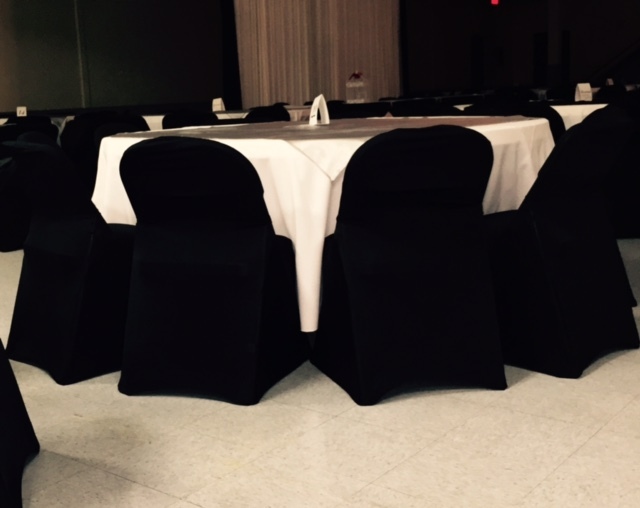 The seat covers can cover banquet chairs, plastic or metal folding chairs, and risen wooded chairs. Set up or delivery not included.